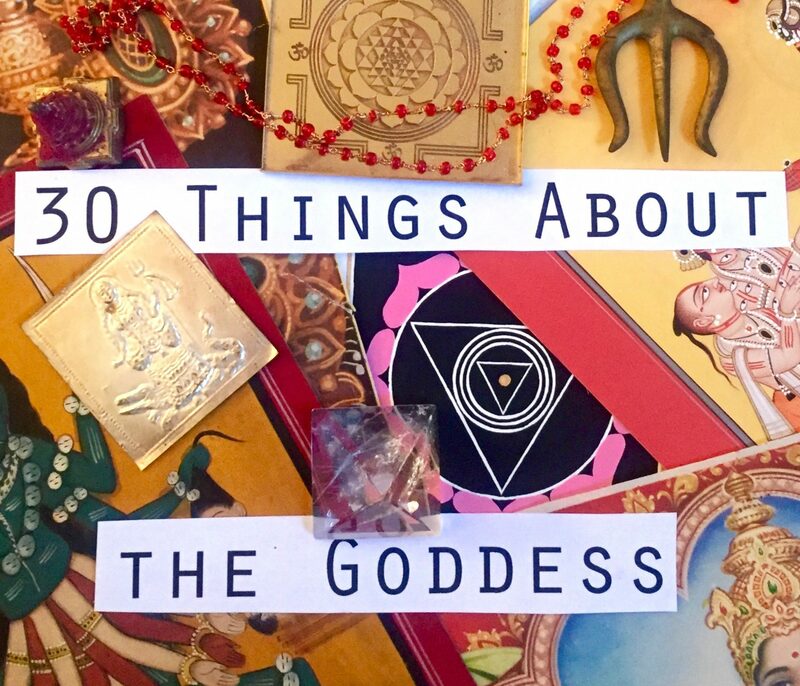 30 Things About the Goddess is a 10 week immersion into Shakti, the energizing and animating principle of the universe, also known as the Goddess. 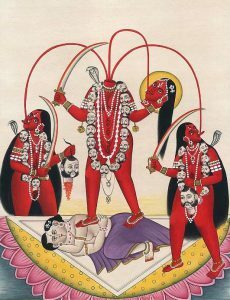 In 10 week’s time, we will learn about 30 female Hindu Deities: who they are, what they represent, and how to access their energies within us. 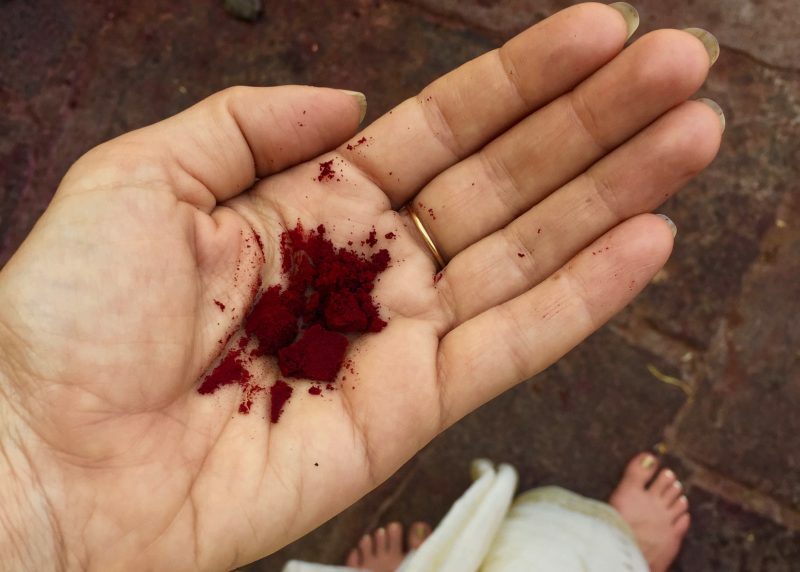 We will discover different aspects of ourselves by connecting with each individual deity, and we will acquire lasting tools and techniques for self-empowerment. You can participate from wherever you are. Get specific. Dive in deeply. 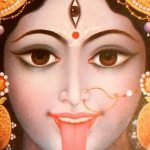 You will emerge from 30 Things About the Goddess with a wide range of knowledge about Shakti. You will learn more about goddesses familiar to you, and you will learn about other goddesses for the first time. This is an amazing point of departure for creating a goddess-centered practice. Listen to my free introductory talk. Feel free to download it from Soundcloud and share it. 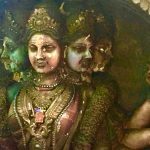 This is an opportunity to dive even deeper into the practices of one specific goddess who speaks to you. Sign up for a one-on-one private skype or phone session with Susanna at a discounted price to bring your studies and practices to the next level. You can decide at any time during “30 Things” which goddess you wish to focus on, and Susanna will tailor your session to your particular area of interest. You can use a one-on-one session to get credit hours toward your yoga alliance continuing ed credits. I am a ERYT-500 and YACEP, and I care deeply about your education. To assist your learning process, I will require a 1-2 sentence summary or reflection on each of the 30 goddesses sent to me in advance of our session. During your session, we will discuss your reflections, questions, and move more deeply into the material, implementing a plan for how you will use it to deepen your teaching and personal practices. This is my way of nurturing your learning process and insuring that you have read, contemplated, and can comfortably work with the vast range of information that I will be sharing with you. Life invites us to create meaning in narratives: in voice and gesture, with hearts investing in the powers of memory and imagination. Join Susanna Harwood Rubin for this amazing opportunity to further your skills and develop a richer practice of yoga. A remarkable opportunity to work with a gifted, accomplished teacher in the company of great souls and worthwhile conversation. Susanna’s participation In our teacher training in Paris introducing yoga philosophy and myth was truly magical! She brings faraway concepts & characters and makes them relevant to our daily life. Susanna is a gifted storyteller who shares not just the wonder and magnificence of the ancient Goddesses, but teaches us to apply their bravery, enchantment and wisdom to our own lives. 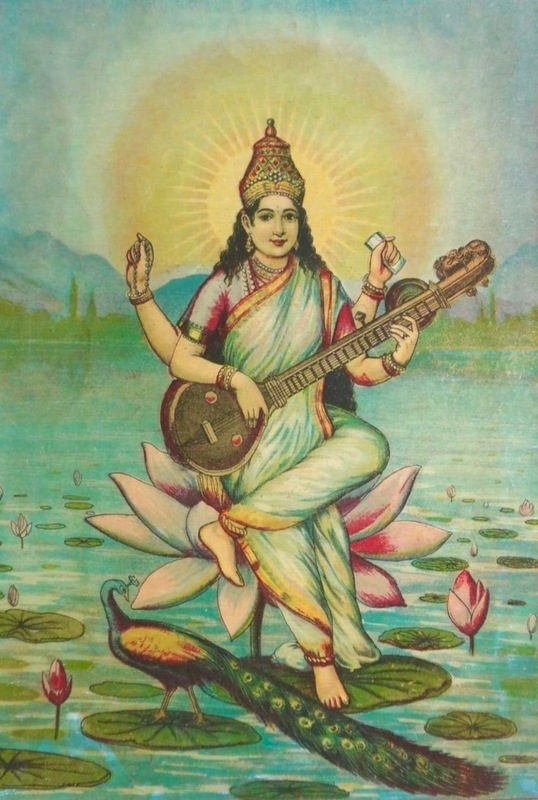 In her descriptions of Saraswati’s artistry or Parvati’s love or Kali’s ferocity, we see reflected our own great fortune (a Lakshmi!) at being engaged humans in the 21st century. I loved the 30 Things About Ganesha course! For one thing, there were far more than thirty! The course was packed with goods, from images to mantra to stories and more, and truly opens up deep access to Ganesha as one’s own self. I looked forward to each day’s offering and continue to draw from these resources. The one-on-one sessions I did with Susanna enhanced my understanding and teaching of Hindu history and mythology in a way I would have never realized without her. I would highly recommend studies with her for any teacher or student interested in the history, myths and legends of yoga. She and the characters she will introduce you to will absolutely enchant you and stay with you forever. Susanna’s 30 words for 30 days has been a wonderful challenge! Writing what I love has been a great joy and creates new insight into my teaching practice. She is sweet and steady in her encouragements…I am so grateful for Susanna’s offerings and will return many times. Thanks for helping me grow Susanna!